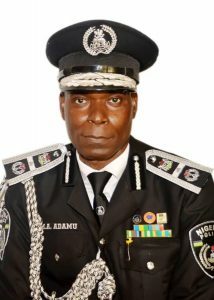 The presidency has tapped an Assistant Inspector General of Police from Nasarawa State as a possible replacement of the retiring Inspector-General of Police Ibrahim Idris. Mr. Idris, who clocks 60 years on Jan. 15 paid “a bye-bye visit’’ to President Buhari on Monday at the Presidential Villa, Abuja. The outcome of the closed door meeting between President Buhari and the IGP was not disclosed as at the time of filing this report. A source close to the presidency, who preferred not to be named, confirmed that a replacement to the retiring IGP would be named on Tuesday, among the shortlisted candidates.